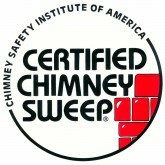 How often do you check if your chimney is in good condition? Your fireplace could be a hazard, and the problems are hidden from view. You need to protect against blockages, smoke leaks, inadequate ventilation, insufficient draw, down-draught and tar build-up. Eliminate Any Danger that Could Escape From Your Fireplace! A fireplace can be essential during the cold winter days, so at Nexus Chimney Services, we will make sure that your fireplace will not generate any damage as you spark it up during the winter. Call us today to learn more about our Cary and Raleigh fireplace cleaning services!